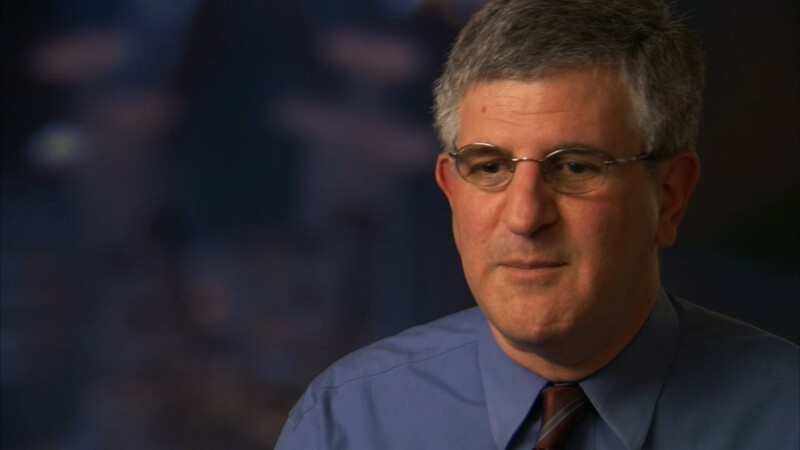 Paul Offit is the co-developer of a vaccine for rotavirus — the leading cause of severe diarrhea in children — and the chief of the division of infectious diseases at Children’s Hospital of Philadelphia. His books include Vaccines: What You Should Know and Autism’s False Prophets: Bad Science, Risky Medicine, and the Search for a Cure. This is the edited transcript of interviews conducted on Dec. 30, 2009 and March 2, 2010. It was originally published on April 27, 2010. One hundred years ago, what infectious diseases would a baby born in Philadelphia face? Measles would cause 100,000 people to be hospitalized, primarily children, and between 500 to 1,000 to die. Rubella was a very common cause of congenital infection, meaning that the mother would be infected while the baby was still in the womb, resulting in about 20,000 cases every year in the United States of birth defects such as those that involve the eye, the ear and the heart. It was a terrible time. We lived 30 years less … than we do now, in large part because we didn’t have the vaccines that now can save our life. Did we still have smallpox then? What’s contained these scourges? What’s been the great breakthrough? How did it do this? Is it the mass immunization, use of vaccines? Yes. Because viruses or bacteria are spread from one person to the next, the only way in which you can really effectively stop transmission is to vaccinate a critical number of people in the population. And it depends really on the nature of the virus or bacteria as to how many you need to immunize. For a disease, for example, like measles, which are highly contagious, you need to immunize probably between 90 to 95 percent of the population to really stop transmission cold. … Every year in the United States, about 60 to 65 people come in from outside of this country, primarily Western Europe, who have measles. And it’s very rare actually that measles will spread from one American child to the next, because we have a critical number of people in the United States that are vaccinated. That wasn’t true in 2008, when a child who was unvaccinated went to Switzerland, caught measles, came back to the U.S., and then there were several cycles of transmission from one American child to another to another to another. That level of transmission hadn’t been seen for more than a decade. It’s what made it so frightening. That was an indication that San Diego had lost its herd immunity? That’s exactly right. And I’ll give you an example [of] exactly how contagious measles virus is. There was a girl who was part of a church group in Indiana, who went to Romania, where she proceeded to catch measles, although she didn’t know it. She got on a plane; she came back, where she then walked among a group at a church picnic of about 500 people. Of those 500 people, 465 had either been previously immunized with measles or had had measles. Of that group of 465, only three people got measles. Of the remaining 35 who hadn’t been vaccinated, 31 caught measles. Thirty-one of 35 people who hadn’t been vaccinated caught measles in a crowd of 500 people after being exposed to a woman for only a couple hours, and the reason why is that they didn’t have to have direct contact with her. All they had to do was share her air space within two hours of her being there. Over time, the number of vaccines that children get has increased. Compare what you had as a child with what’s on the schedule now. I was born in 1951. I got the smallpox vaccine. I also got the diphtheria and pertussis and tetanus vaccine. And then in the mid-1950s, I got Jonas Salk’s inactivated polio vaccine. And that was it. Now how many does a baby face? Now, in the first few years of life, babies will receive vaccines to protect against 14 different diseases. This seems like a crowded schedule. They get multiple shots sometimes? That’s right. You can get as many as 26 inoculations in the first few years of life, and as many as five shots at one time. That seems like a lot of vaccines. Are they all necessary and safe? Yes. I certainly understand from a parent’s standpoint how the schedule is crowded. I think from the pediatrician’s standpoint, the schedule is crowded. It’s a lot of vaccines given over a fairly short period of time, which can mean a lot of shots at one time. But I think the burden for health care people and for people interested in people’s health is to make sure that the vaccines can be given safely, and that we know that they will prevent these diseases that can cause suffering and hospitalization [and] death. It’s important to give them early because you prevent more if given early in life? Exactly right. If you take diseases like Hib [Haemophilus influenzae type b] or pneumococcus or pertussis, those are diseases that you start to see around six, seven, eight months of age, so you want to try and be as immune as you can by that time so you can be prevented from getting them. Who decides what’s on the schedule? It’s a pretty extensive process. What generally happens is that the pharmaceutical companies develop the vaccine and ultimately test them in tens of thousands of children, and then submit those data to the Food and Drug Administration, who then look them over to try and determine whether or not the vaccine is effective as claimed, and is safe as claimed. Then they license the vaccine. Once it’s licensed, then it can be used. But usually pediatricians and parents will wait until the Centers for Disease Control and the American Academy of Pediatrics [AAP] and the American Association of Family Physicians [AAFP] also look over the data to decide not only can it be used, but should it be used, and should it be recommended. … And then and only then do they make the recommendation. I know this because I actually was on this CDC committee from 1998 to 2003. I think the criteria that you hold those data to are, would I give this to my own child? And then and only then, I think, would you recommend it for the country’s children. Is it harder to develop a vaccine [than a drug]? It’s much harder to develop, generally, a biological than a small molecule drug. Vaccines are biologicals. They are much more difficult to manufacture and to develop, because frankly, the process is the product. With small molecule products like drugs, they’re much more easy to characterize and, frankly, test. I think when you look at vaccines, the other point is that you’re giving them to healthy children, so they’re, I think, held to a much higher standard than for drugs that are used to treat a particular disease. And so if you look at how many people get tested, the numbers are phenomenal. For the HPV [human papillomavirus] vaccine, there were 30,000 girls and young women who were tested for five years before that vaccine was licensed. For the pneumococcal vaccine there were 40,000 infants and young children that were tested before the vaccine was licensed. For the two rotavirus vaccines, it was 130,000 that were tested before the vaccine was licensed. So I think those are phenomenal numbers and very expensive research and development programs. But I think they should be, because I think that when you give things to healthy children, they should meet really the highest standards of safety testing. What reporting is in place for adverse events? Because even if you test on 70,000, you could still find something after you give it to millions. Exactly right. Just because you find that the vaccine doesn’t cause relatively uncommon side effects in 30,000 or 40,000 or 100,000 children, that doesn’t mean it doesn’t cause any rare side effect, which sometimes only can be picked up after a vaccine is being given to millions of children. Probably the father of modern vaccines, a man named Maurice Hilleman, who developed nine of the 14 vaccines that we currently use today, used to say at Merck, “I never breathe a sigh of relief until the first 3 million doses are out there.” And I still think that’s true. So the question is: How do you know, when those first few million doses are out there, whether or not there’s a problem? And there’s a couple of ways. One, there’s a system that was launched in 1986 called the Vaccine Adverse Event Reporting System [VAERS], where anybody who thinks that a vaccine may have caused a problem — parent, doctor, nurse, anyone who’s concerned — can report it to this system by filling out a simple one-page form. Those forms are constantly evaluated by the Centers for Disease Control and the FDA. That’s not a perfect system. I think at best what that can do is that that can alert one to the fact that there might be a problem, but it doesn’t really prove whether or not there’s a problem. If, however, there’s a pattern that’s being reported, as was true actually with the rotavirus vaccine in 1998, suddenly there were 10, 12, then 15 children who had intestinal blockage caused by — or felt to be caused by — the rotavirus vaccine, then you can go back and you can do the more definitive way to answer the question, which is to look at children who did or didn’t receive that vaccine, to see whether or not that adverse event was more common in the vaccinated group. And for that, there are systems like the Vaccine Safety Datalink. You’re trying to distinguish between coincidence and causation. If you give a vaccine to tens of millions of kids and rare events are discovered, that doesn’t necessarily prove that the vaccine caused the rare disease, does it? Right. I think just because one event followed another, it doesn’t mean it was caused by the other. I mean, every morning the rooster crows, the sun comes up. It doesn’t mean the rooster’s causing the sun to come up. The question is, was it caused by it? And I think the only way to know that is to do the kinds of studies where you look at children who did or didn’t receive a vaccine. This came up with the MMR [measles, mumps and rubella] vaccine and autism. Parents reasonably thought: “My child was fine; they got an MMR vaccine; then they developed the first symptoms of autism. Could it have been the MMR vaccine that caused that autism?” That’s a perfectly reasonable question. Fortunately, it’s an answerable question, and it can be answered by looking at what has been now tens of thousands of children who did or didn’t receive the MMR vaccine to answer the question: Was your risk greater for getting autism if you received the vaccine? And the answer has been very clear and consistent: No. How sensitive is this vaccine-reporting system? I think epidemiological studies, at their best, can pick up events that occur in 1 per 100,000 children, sometimes as rare as 1 per million children. But it’s going to be difficult to pick up events that are rarer than that. But that’s very powerful. Talk about the rotavirus vaccine [that preceded the one you co-developed]. … There was a rotavirus vaccine that was introduced in the United States in 1998. It had been tested in 10,000 children before licensure, where it was found to be safe. But when it was then given to a million children, it was found to be a rare cause of something called intussusception, which is an intestinal blockage where your small intestine telescopes into itself and can compromise blood flow to the intestinal surface, which can lead to severe bleeding [and] can also lead to invasion of bacteria. It’s a medical emergency. And of the million children then that got that vaccine, about 100 developed this intussusception, which is to say, one per 10,000. One child died from that vaccine. And it was immediately taken off the market. But it shows you, I think, how quickly and well we were able to respond to an unanticipated side effect. And again, even though the vaccine was tested in 10,000 children pre-licensure, you weren’t going to be able to detect an event that occurred in 1 per 10,000 children. Obviously, that was only going to happen post-licensure. It was picked up in 10 months and was off the market. You personally were involved in creating [a] vaccine called RotaTeq? I think frankly, to the credit of pharmaceutical companies, they were willing to hang in there … and try and develop safer rotavirus vaccine, certainly a vaccine which benefits this country in terms, I think, of preventing a lot of suffering and benefits the world in terms of preventing a lot of death. And both GlaxoSmithKline and Merck were willing to hang in there. They’ve developed separate products and tested them; instead of in 10,000 children for that one vaccine, now about 130,000 children for those two vaccines. And now those vaccines have been on the market for more than two years and have been found to be quite safe and effective. What do you say to parents who are vaccine skeptics? I think it’s reasonable to be hesitant. It’s very hard, I think, for a parent to watch their child get 26 inoculations in the first few years of life, five shots at one time, for diseases they don’t see. What I say to those people is that a choice not to get a vaccine is not a risk-free choice. It’s just a choice to take a different risk. And what is that other risk? For example, even though we hadn’t seen measles in this country for 10 years, we finally got to the point where enough children weren’t vaccinated that children started to get measles in 2008, as many as 140, and some of those children were hospitalized, and one of those children almost died. And you don’t want that to be you. And the only way that you can accept, I think, a vaccine for diseases that frankly are virtually gone from the United States, like measles or diphtheria or polio, is if those vaccines are incredibly safe, have a wonderful safety profile. And these vaccines do have that. Doing nothing is doing something. It is, in this case, taking a risk that’s unnecessary. I think in the 1950s or ’60s or ’70s, when you were choosing not to get a vaccine, you were, in a sense, putting a gun to your head that had a certain number of empty chambers and a certain number of bullets. Now, I think, with the diseases being so much rarer, you’re still putting a gun to your head; there’s just far more empty chambers. But why put a gun to your head? Some people have modified the schedule. What do you think? I think that people should be reassured by something called concomitant use studies, which is to say, every time a vaccine comes onto the schedule — a new vaccine — the FDA makes the company prove that that vaccine doesn’t interfere with the safety profile or the immunogenicity profile of the existing vaccine, and vice versa. So the schedule is very well tested. The fears aren’t science-based. I guess our job as health care professionals is to try and make the data that show that vaccines are safe and effective compelling. And it’s not easy, especially in the absence of clear evidence that those diseases are overwhelming our population. But I guess we all have our biases. My bias is, I work in a hospital, so I see these diseases come into our hospital. I know what they can do, and knowing that they can be prevented safely is very compelling. In some communities, vaccination rates have dropped a lot. What’s behind this? There was one outbreak [of pertussis] in Delaware that was particularly worrisome. It occurred in 2006. It was written up by the Centers for Disease Control and Prevention in their journal called Morbidity and Mortality Weekly Report, and it had one sentence in it which was particularly frightening, because what it said was, if you looked at that outbreak, it occurred primarily in 5- to 9-year-old children, which is really not something that we see in the vaccine era. And the statement was, this is the epidemiology of what one typically saw in the pre-vaccine era. And now we’ve had a handful of children who have died of Haemophilus influenzae type b, died because their parents were more frightened of the vaccine than they were of the disease. They chose to leave those children vulnerable, and those children paid the ultimate price for that choice. It’s not OK anymore. It’s really unconscionable. We have gotten to a tipping point where enough people now are making this choice that they are affecting not only their own children but children who come in contact with their children. I think you can probably divide these diseases that we’re trying to prevent into three separate groups. One group is for diseases that are virtually gone, like polio or diphtheria. We virtually never see those diseases in the United States anymore, but they still occur in the world. And because international travel is common, it is still possible that polio or diphtheria can get onto a plane and come into the United States. And if there are communities that are highly undervaccinated, those communities could then serve as fertile ground for that virus — or bacteria, in the case of diphtheria — taking hold and spreading. There is no reason polio couldn’t come back in this country. It still is endemic — meaning [it] still occurs — in four countries outside this country. Then the second group of infections would be those that roil under the surface: measles, mumps, German measles. You still see [some] of those occasionally. If we let our guard down, those diseases come back. And that’s what happened in 2008 with measles. These will come back from abroad, mostly? That’s right. … And then the third group would be those diseases that are still quite common. Chicken pox is still common, still affects thousands of people every year in the United States. Pertussis, or whooping cough, still affects tens of thousands of people every year in the United States. Pneumococcus is still a bacteria which spreads. So there, when you choose not to get a vaccine, you’re making a very real choice to chance those infections. So [for the third group], the pathogen exists in the United States, never gets eradicated. I think there’s some pathogens which will never get eradicated, just because of the nature of infection; for example, rotavirus or influenza. What vaccination or, frankly, natural infection does is it lessens your chance of having moderate to severe disease associated with re-infection, but it doesn’t really prevent re-infection. So those viruses, I think, are always going to be circulating. [Suppose you are talking] to a mother in Vashon Island or Ashland, where vaccination rates have dropped. Why isn’t it my choice as a parent to make this decision? When you choose not to get a vaccine, you choose not only to put your child at risk — at unnecessary risk without benefit — but you also choose to put the child with whom your child comes in contact at risk, because remember, there are hundreds of thousands of people in this country every year who cannot be vaccinated. They can’t be vaccinated because they’re receiving high-dose steroids for their asthma or rheumatologic diseases; they cannot be vaccinated because they’re receiving chemotherapy for their cancer; they cannot be vaccinated because they’re receiving immunosuppressive therapy for their transplants. We have far more in the way of usage of these immunosuppressive therapies because we have far more transplants than we had, say, in the days of Jonas Salk, 50 years ago. And those people count on living in a population that’s highly vaccinated. And when these outbreaks start to occur, they’re the ones who are at greater risk because their immune systems aren’t normal. They’re the ones who are the most likely to be overwhelmed and arguably killed by some of these bacterial or viral infections. The question is, do we have a responsibility to those people? I think the answer to that question is yes. I mean, another way to ask that question is, is it your right to catch and transmit a potentially fatal infection? I think the answer to that question is no. What now enforces the public health mandate that people get vaccines? The CDC recommends to states, and states enforce it through the public school system? … There have been mandates on the books really since the early 1900s. The difference occurred, I think, in the 1970s. What happened then was that we had sweeping outbreaks of measles across the country, causing tens of thousands of hospitalizations and hundreds of deaths. And with that, there were groups that got very interested in enforcing mandates, so you started to see more and more states one, have mandates, and two, start to enforce them. And that, I think, at some level created a backlash in the ’80s and ’90s that resulted in exemptions. So now 48 states have religious exemptions; 20 states have philosophical or personal-belief exemptions. I guess one could think of that as a pop-off valve to those mandates. And one could argue that that’s OK, to a point. The point is, when so many people start to exempt themselves from vaccines that these diseases start to come back. And that’s happened to some extent. I mean, [when] you start to see pertussis or to see measles, what you’re seeing is, you’re seeing children suffer the diseases of their grandparents. One could argue that the birth of the modern American anti-vaccine movement occurred on April 19, 1982. That’s when an NBC producer named Lee Thompson put out a one-hour documentary called DPT: — diphtheria, pertussis, tetanus — Vaccine Roulette. And the point of view of this movie was that the pertussis vaccine, the whooping cough vaccine, was causing permanent brain damage, was causing children to have epilepsy, was causing children to have mental retardation. And the film was frightening. I mean, it showed a series of children who had spastic, withered limbs, who were wearing bicycle helmets, who were seizing, who were gazing up at the sky, who were drooling — all presumably based on having received this whole-cell pertussis vaccine. And there were a group of people — Jeff Schwartz, Kathi Williams and Barbara Loe Fisher — who were watching this movie, lived in the D.C. area, and formed together something called Dissatisfied Parents Together to try and make not only other parents but this country aware that the whole-cell pertussis vaccine could cause permanent harm. Now, it took a long time for the science to mature. Frankly, it took about 10 years to do the kinds of epidemiological studies that showed that the whole-cell pertussis vaccine didn’t cause epilepsy, didn’t cause mental retardation. But from the standpoint of those parents, reasonably they were convinced by the show, there weren’t data in hand, and they ultimately, I think, formed a consumer activist movement that moved us away from the whole-cell pertussis vaccine, frankly, to a safer, so-called acellular vaccine. Although that old vaccine didn’t cause permanent harm, still the new vaccine was better, and I think that was a good outcome of that movement. And it led to something called the National Childhood Vaccine Injury Act, which included the Vaccine Adverse Event Reporting System. Many good things came from that original advocacy. The problem, I think, came with what has been the continued advocacy of that group that we have simply exchanged infectious diseases for chronic problems, and then that by using vaccines, we now have an increase in autism, attention deficit disorder, hyperactivity disorder, multiple sclerosis, diabetes, rheumatologic diseases, all of which are caused by vaccines. Now, no scientific data have supported that notion, nor frankly does it make biological sense. And I think that we, as a health care community, as an academic community, have constantly done studies trying to address those concerns, and none of those concerns, I think, have ever been realized. And I think it’s too bad, because I think that movement now has scared parents unnecessarily, scared them into fearing vaccines which they shouldn’t fear, scared them into not vaccinating their children to the point that we now have outbreaks that are hurting us. Is there an important role for watchdog organizations to keep an eye on vaccines? Absolutely. I think the story of John [Salamone] is a particularly compelling one. Here’s a man whose son, David, received the oral polio vaccine in the 1980s and got polio from that vaccine. And that was a very rare but very real consequence of that [vaccine]. Because this is a live weakened virus? Yeah. The oral polio vaccine developed by Albert Sabin in the late 1950s and early 1960s is a live, weakened form of the virus. But it’s unique, I think, among live weakened viruses in that it actually has the capacity to revert back to so-called neurovirulent type, meaning it actually can revert back to something that can cause polio. Really the other viral vaccines can’t do that. This one could. It was very rare. It only occurred in about one per 2.5 million doses. But every year, six to eight children in the United States would become paralyzed by Albert Sabin’s oral polio vaccine. Now, from John [Salamone]’s standpoint, he looked at countries like in Scandinavian countries, where they never use the oral polio vaccine — they only use the inactivated vaccine — and he said: “Why can’t we be one of those countries? Why do I have to give my child a vaccine which can potentially cause polio when there’s another vaccine that can be used?” And he then I think, frankly, became the single most important person in moving us from the oral polio vaccine schedule — which I got, which my children got — which we moved away from by the year 2000 to the inactivated polio vaccine. That one man did that, and I think that’s an example of consumer activism at its best. But the anti-vaccine movement has gone off in another direction, to associate vaccines with major diseases. What was [the] hepatitis B [vaccine] alleged to have caused? Now, that wasn’t true, but it may have scared some people not to get a vaccine which clearly has now dramatically reduced the incidence of meningitis bloodstream infections caused by Hib. When the hepatitis B vaccine came onto the market in the early 1990s, it was claimed to cause sudden infant death syndrome; it was claimed to cause multiple sclerosis. Clearly studies have shown that that wasn’t true, but again, that may have scared parents into not getting a vaccine from which their children could benefit. But the biggest concern is autism. Right. In the late 1990s, specifically in 1998, the concern that the combination measles, mumps, rubella — or MMR — vaccine caused autism caused at least 125,000 parents in the United States not to give their children MMR vaccine. In England it was much worse. There was a dramatic decline in the [instance] of MMR vaccination, and as a consequence, not surprisingly, there was a dramatic increase in the incidence of measles, including hundreds of hospitalizations and a handful of deaths, deaths from something that could have been very safely and easily prevented by a vaccine, because of this false notion that a vaccine has caused permanent harm, autism. You can see how this could happen, because the onset of autism occurs around the same time as this vaccine is given. I think what is good about what’s happened here is distinct from, say, what happened in the early 1980s, [which] is the science matured very quickly, because I think we learned a lesson in 1982 as to just how bad it can get if people become scared of a vaccine and start to not get it. … You could see that with fear of pertussis vaccine in England in the 1970s. There was a dramatic drop in the [instances] of immunization, [from] 80 percent to 30 percent, and as a consequence, thousands of hospitalizations and hundreds of deaths. So that’s what can happen when people are scared about a vaccine, and the science matured slowly. Here, what happened is, I think, when the notion was raised that the MMR vaccine could cause autism, within months studies were being done to try and answer that question and reassure parents, and I think many parents were reassured. It’s frustrating, I think, for us that are trying to communicate issues about public health or vaccine safety, when you have the [data] in hand and you still can’t convince people. I think that’s where it gets frustrating. … What is thimerosal, and what’s it doing in vaccines? Thimerosal is an ethylmercury-containing preservative that’s been in vaccines since the 1930s. It’s been in there to frankly prevent the contamination that can occur in multi-dose vials. So for example, when a vial of vaccine contains 10 doses, a doctor or nurse will keep it in the refrigerator and then pull it out periodically, take the syringe needle, and violate that rubber stopper with the needle, and pull out a dose, and then another dose and another dose. As time goes on, it’s possible that you can inadvertently introduce bacteria or fungi into that vial, so that the child who gets the eighth or ninth or 10th dose can be inadvertently inoculated with bacteria. And that happened. That happened in the early 1900s, where children would get severe staph or severe strep infections that could be fatal. That all disappeared when you added a preservative, and ethylmercury is frankly a very gentle bacteriostatic agent. I think what happened in the late 1990s is, as we added more and more vaccines to the schedule and there were more and more vaccines that contained thimerosal, the concern was that maybe we were giving children too much mercury and were inadvertently causing mercury toxicity. And I think as a precautionary principle then, the decision was made by the CDC, by the American Academy of Pediatrics, to really ask pharmaceutical companies to take thimerosal out of vaccines. Unfortunately, I think it precipitated the notion that the thimerosal was doing harm. And from a parent’s standpoint, that, again, was very understandable. Why would you take something out of vaccines in such [a] precipitous and frightening manner unless there was a problem? You draw an analogy between polio and autism. What’s been true of medicine for the last few hundred years is that whenever you don’t have a clear cause of a problem, myths abound. And so the notion of what caused polio, associated with the violent epidemic of polio in the United States, specifically in New York City in 1916, if you look through Dr. [John Haven] Emerson’s report on that, it’s almost humorous. People were concerned that polio was caused by nerve gases that had been released in World War I; they thought that it may have been caused by organ grinders’ monkeys; they thought it may have been caused by tarantulas that were on bananas that were being imported up from South America — I mean, all kinds of notions of what could cause it. And as a consequence, there were all kinds of cures. There were people who would go to slaughterhouses to drink the blood of animals to try and prevent polio; they would wear garlic around their necks to prevent polio. And so I think where there isn’t information, myths abound. That’s certainly true with autism. And so there are all kinds of causes that claim to be the cause of autism, and as a consequence, all kinds of cures. Where are we with the anti-vaccine movement now? You know, I think things actually are getting better. I think that because we’ve gotten so much better at doing science quickly and well to answer parents’ concerns, I think the media has been generally much more responsible about reporting those studies. I think parents who are frankly quite smart are looking at those studies and being largely convinced by them. And I think for the first time you’re starting to hear the voices of society, people whose children, for example, have leukemia, that can’t send them to a day care center because there are children who aren’t vaccinated. 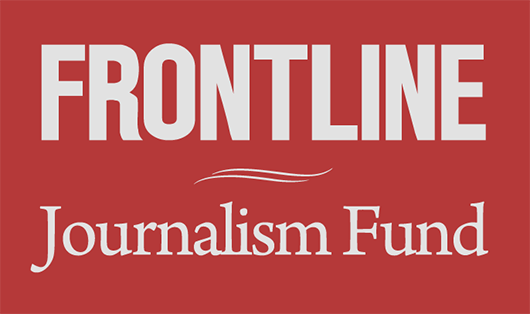 You read articles — for example, Stephanie Tatel from Slate.com wrote a wonderful article about that. You have a woman like Brendalee Flint who goes to Congress to talk about her daughter, who was immunocompromised, who didn’t have Hib vaccine because she couldn’t, who was living in a community where there had been a sixfold decrease in the instance of Hib use because of fears of the vaccine, whose child then got Hib meningitis and almost died from it. And she makes the statement, “Why is it that my voice should be smaller than [actress and anti-vaccine activist] Jenny McCarthy‘s?” So I think that you’re all starting to hear the voice of society. And there are now hospitals that are choosing to require that their health care personnel get influenza vaccine because they represent the small voice of that child who’s in the hospital, a child for whom they’re responsible, who depends on the health care personnel to protect them when they can’t be vaccinated. How do vaccines’ risks compare with their benefits? I think we’re compelled by our own fears. And certainly for my parents, who grew up in the 1920s and ’30s and ’40s, [who] saw these infections, they saw what they could do. For them, vaccines was an easy sell. I grew up in the 1950s and ’60s. I saw measles. I had measles; I had mumps; I had German measles. I knew what those diseases could do. I watched my friends also be sickened by those diseases, and so for me, vaccines was an easy sell. I think for people now, young mothers today not only don’t see these diseases, they didn’t even grow up with these diseases. So for them, vaccination becomes a matter of faith — faith in pharmaceutical companies, faith in the government, faith in health care professionals. I think at least there’s been an erosion in that kind of faith. How do you make vaccines compelling, absent diseases that are causing children to die? One way you can make them compelling is have enough people stop vaccinating that those diseases come back and kill a critical number of children. You’d like to think we wouldn’t get to that point, frankly, where we have to rely on human sacrifice to compel people that vaccines are important, that we would learn from history. Talk about social media. How do things like [talk show host] Bill Maher and the YouTube video with Desiree Jennings change the dynamics? This is the lady who walked backward? This is the lady who could walk backward but not forward, right. I think that was the story. Her collection of symptoms didn’t make neurological sense. It didn’t make biological sense. And I think any neurologist who looked at that would say that. And then she suddenly got better when she gave herself chelation therapy. I mean, it was all sort of bogus and kind of hoaxical. But the point is that these students who sat in that room were much more likely to believe something they had seen on YouTube from a Washington Redskins cheerleader than they would have believed something that they would have heard from the Centers for Disease Control and Prevention or the American Academy of Pediatrics. That’s a little frightening. I mean, somebody like Bill Maher — who tweets the notion that anybody who gets the novel H1N1 vaccine is, in his words, “an idiot,” and then writes a piece very quickly on Huffington Post, listing as his sources of information not a single person who has any expertise in vaccines — is frightening. It’s frightening that it has that kind of traction. It’s frightening that we put so little value on expertise, that because, I guess, of Google, that anyone’s an expert — or alternatively, no one’s an expert. Bad ideas can be contagious and go viral in the same way that organisms can. Yeah, I guess that’s right. Bad ideas can go viral. In fact, I would argue that that’s probably the worst aspect of the novel H1N1 virus. What’s more contagious: the novel H1N1 virus or the bad information surrounding it? What is the vaccine court, and how is it meant to work? It’s associated with the concerns that the whole-cell pertussis vaccine caused permanent brain damage. There was a flood of litigation in the United States in the mid-1980s, to the point that manufacturers really started to leave the business. We went from eight pertussis vaccine makers to one. We went from three oral polio vaccine makers to one. We went from six measles vaccine makers to one. Really, American children were on the verge of losing vaccines as a medical product. And so the government stepped in and in 1986 created something called the National Childhood Vaccine Injury Act, which basically created a court whereby people who were concerned that their children had been hurt by vaccines would really go to this court, which would review scientific information and decide whether or not it was a vaccine injury or not. It was a detour, really. It was a detour away from directly suing pharmaceutical companies. You still can sue pharmaceutical companies; you just have to go through this court first. And frankly, the court has such a low standard, a low bar, as compared to evidence that if you can’t get compensated in that court, you’re really not going to succeed in state or civil court. So it really has effectively allowed vaccine makers to get back on their feet and make the vaccines that we need. Has the court made good decisions or bad decisions? I think the court certainly errs on the side of making decisions that are not necessarily science-based. But you can argue that that’s OK. I think if we’re asking 3.5 to 4 million children every year to get vaccines to prevent 14 different diseases, that it’s a reasonable pop-off valve for that. And I think so far it’s worked quite well, especially with the so-called Omnibus Autism Proceeding, where parents of 5,000 children claimed that vaccines caused autism. That group of special masters reviewed those data and at least in the first ruling came down clearly on the side of science. [That] was very encouraging. That vaccine case has not succeeded? That’s right. The first part of it hasn’t succeeded. There’s one more part to go. [What are some] other things in vaccines which may cause controversy, adjuvants and other things? An adjuvant is something that’s added to vaccines to enhance the immune response. And by “enhance the immune response” I mean that that allows you to use lesser quantities of the vaccine in there, or give fewer doses. And we’ve had adjuvants in vaccines really since the 1930s. The most common adjuvant that’s used in vaccines is aluminum salts, such as aluminum hydroxide. And it’s very well tested and safe. I think adjuvants are an interesting story, especially with the novel H1N1 vaccine. There is an adjuvant called squalene, which actually was used in the novel H1N1 vaccine in Europe and used at some level in Canada but wasn’t used in the United States. Now, that allowed one to use lesser quantities of the vaccine, and therefore I think arguably could have made more vaccine available sooner. I think in this country we were relieved that you could get a good enough immune response without the squalene, but clearly you could have gotten a better immune response with the squalene. It’s a natural product. I mean, it’s contained in many things that contain light oils, including things like Girl Scout cookies. It’s part of our natural metabolism for things like cholesterol. So it’s in our bodies anyway, at quantities greater than would have ever been contained in the vaccine. And I think in this case you saw, at some level, where the anti-vaccine community can do harm, because we didn’t want to have to go out there and explain what squalene was, and were happy that we didn’t have to do it, even though I think we would have certainly benefited from it. It was a lost opportunity, I think. Is there anything else in vaccines that deserves scrutiny? Gelatin? Yeah. I think there are a couple things. The influenza vaccine and the yellow fever vaccine are both made in eggs; therefore they contain small quantities or residual quantities of egg proteins. About a half a percent of the population is allergic to eggs, including severe allergies, including things such as bad hives and shock, and those people can’t get influenza vaccine. Well, there’s no reason you can’t grow influenza vaccine in mammalian cells, meaning non-avian cells. That can be done. The technology has been available to do that for decades, but there’s been little interest in doing that. It cries out for, in many ways, consumer activism. Similarly, there’s a stabilizing agent that’s used in the chicken pox vaccine called gelatin. It allows the vaccine virus to be distributed equally throughout the vial. The question is, are there other stabilizing agents that you could use, that aren’t gelatin, that could accomplish the same thing? Absolutely. But again there’s [been] very little pressure, I think, to do that, even though it’s probably the most common allergenic material in vaccines. Yes. I think that when the CDC communicates risks, they fall into two groups. One is those risks that are very rare but in fact are real; and the other are those risks that have been reported following a vaccine, but for which we have no evidence that the vaccine actually caused the problem. Those, I would argue, are at best theoretical. The public is a bit confused between those two categories at the moment. I think as a member of the public, one should be able to separate those two categories and be aware of the fact that there are very rare side effects from vaccines, like allergic reactions to the vaccines; and then there are those things that have been reported following a vaccine, for which there is no evidence that the vaccine caused it. Those, I think, should not be a concern to parents. Critics say that you can’t categorically say that vaccines do not cause autism, because only relatively few things have been studied: MMR and thimerosal. Is that correct? They say that you haven’t really done the studies to eliminate vaccines as a cause of autism. The hypotheses continue to shift. The first hypothesis which people bought into long and hard is that the combination measles, mumps, rubella — MMR — vaccine causes autism. Twelve epidemiological studies showed that that wasn’t true. Then the hypothesis shifted to thimerosal, an ethylmercury-containing preservative that was in vaccines, that’s no longer in vaccine except for some multi-dose preparations of flu vaccine, that that caused autism. And that clearly has been shown not to be true. Then it was more thimerosal in vaccines causes subtle signs of mercury toxicity. That’s not true, because the quantity of thimerosal in vaccines was frankly less than children typically encounter from mercury just in their environment every day. So now this is classic for pseudoscience, is you just keep moving the goalpost. So now the goalpost is, no, we didn’t mean actually MMR caused autism or thimerosal caused autism; we just meant vaccines in general cause autism, and you haven’t tested that. And that’s true. That hasn’t been tested. But all the evidence about the real cause or causes of autism point away from vaccines. There are many very interesting studies about autism that you rarely hear about. There’re a number of studies looking at the genetics of autism, and it clearly is at least genetic. It’s not going to be a simple genetics. It’s not going to be like sickle cell disease or cystic fibrosis, where one gene makes one protein that’s aberrant. Here it’s obviously many genes that make many proteins that have a complex interplay, so it’s not going to be easy. But it’s at least genetic. You take an important study like that done by Ami Klin at the Yale Child Study Center. What he did was he took siblings of children with autism, children who either do or do not go on to develop autism, and then he looked at how those children attended to their mother’s faces. And he found, even within the first few weeks of life, that those who went on to develop autism, when the mother would speak to them, would look at the mother’s mouth, whereas those who didn’t develop autism actually focused on the mother’s eyes. Well, this tells you that something is going on very early on that determines who gets autism and who doesn’t. And there are environmental factors that affect the development of autism. When a mother takes valproic acid — which is an anti-seizure medicine — during her pregnancy, she’s more likely to deliver a child with autism. When a mother takes thalidomide — and these are older data, because we obviously haven’t used thalidomide for decades — … she was at greater risk of delivering a child with autism if she took that thalidomide at a certain discrete time during the first trimester of pregnancy. And when mothers are infected with rubella virus and the child develops congenital rubella syndrome, those children are at increased risk for autism. But what all those data tell you is that if there isn’t an environmental factor, it’s something that’s occurring probably very early, when the baby is still in the womb. Everything there leads one away from vaccines. Proponents of the vaccine theory of autism say that the kind of study they want is a randomized controlled progressive study with a vaccine group and a non-vaccine group. Why don’t you do that? If one was going to try and answer the question, “Are you at greater risk of autism if you get vaccines, compared to if you don’t get vaccines?,” why not just do a study where you randomize people into receiving all vaccines or not receiving any vaccines, and then just following them for a number of years to see whether or not the vaccinated group is more likely to get autism? Well, there’re certain things about vaccines that are absolute truths. One is that they work. And if you choose not to get a vaccine, you are at greater risk of developing disease [that] can cause you to suffer or be hospitalized and die. And if you have a large enough cohort of children who are vaccinated or unvaccinated, you can bet that there will be children in the unvaccinated group who will suffer that consequence. And no Institutional Review Board, and frankly no ethical researcher, could ever do that study, because you know that you have frankly condemned those in the unvaccinated group — some in the unvaccinated group — to develop diseases which can permanently harm them and/or kill them. You can’t do that study. It’s highly unethical to do a study like that. Why not then find groups of people who have chosen not to be vaccinated and study them, and then compare them with a group of vaccinated people? So, another way that you could answer the question is not to do it prospectively, or in a forward-looking manner, but to do it retrospectively, meaning, take groups who have chosen to fully vaccinate their children and compare them to groups who have chosen not to vaccinate their children at all. Now, you have to make sure that if you’re going to be studying those two groups that they are alike in all aspects with the exception of receipt of vaccines; that their health care-seeking behavior is the same, that their medical background is the same, that their socioeconomic backgrounds are the same. And that would be very, very difficult, because obviously you’re selecting for two very different groups of people when you choose children who are completely vaccinated or completely unvaccinated. It would be hard to control for that. Why? Because the parents in Ashland who chose not to vaccinate might be different from the parents in New York that did? Right. And also remember, there’s a certain inherent bias that if you choose not to vaccinate because you believe your child may develop developmental disabilities, you may be less quick actually to see your child as having a developmental disability because you believe you’ve protected them against it by not vaccinating. There are certain expectations that come with someone who chooses not to vaccinate at all that may alter their health care-seeking behavior. You hear a lot of parents concerned about the intensity of the vaccine schedule, that their babies would be exposed to so many toxins and pathogens in the early years of life. Respond to this. So remember, you have trillions of bacteria [that] live on your body, to which you make an immune response. Each single bacterium has between 2,000 and 6,000 immunological components. The total number of immunological components contained in all 14 vaccines that children get in the first few years of life is 150. Not only is that literally a drop in the ocean of what children encounter and manage every day, it’s even fewer immunological components that we get today than we got in the one smallpox vaccine that we got 100 years ago, which contained 200 immunological components. So it’s not even going to make a difference? It makes no difference. It’s certainly understandable how a parent, who watches their child lie down on that crinkly white paper and get four or five shots, can feel like it’s too much. But the fact of the matter is, it’s not. And if you want to scare yourself, what you can do is just take a swab, swab the inside of a child’s nose, put it on a wet mount, look at it under a microscope, and it’s teeming with bacteria, to which children make an immune response that is far greater than the typical immunological challenges they get in vaccines. Given this, spreading out the schedule is not likely to make much difference? The only thing that spreading out the schedule would do is the following. One is, it would increase the period of time during which you were susceptible to vaccine-preventable diseases. The second thing it would do is it would mean that children would have to come to the office more frequently and therefore would get shots more frequently. The question is, is it more stressful to get five shots at one time or to get one shot over five separate occasions? And the answer is, I think, it’s far more stressful to get one shot over, say, five separate occasions than to get five shots at one time. And there are data to show that. There’s a wonderful study looking at cortisol secretion, which is a way that physiologists have of measuring stress, which shows that if you get two shots, you don’t secrete any more cortisol than if you just get one shot — the point being that you’re probably maximally stressed out at one shot. So to bring a child then back to space out vaccines or separate them or delay them … will only increase the stress of the child without any benefit. Ethical question: Given that there are some very rare real risks, why is it OK to mandate people to vaccinate their kids, given that it’s not 100 percent safe? I think that it’s OK for the government to ask its citizens to do something [when its] benefits far outweigh its risks. We have a rule where one has to wear seat belts, and if your child is young, the child has to be in a car seat. That’s the law. If you break the law, then you have to pay a fine. You have to pay a societal cost. … But the difference between seat belts and the difference between car seats and vaccines is that when you choose not to wear a seat belt, you affect yourself. When you choose not to put your child in a car seat, you affect that child. But when you choose not to get a vaccine, you’re affecting those around your child who could potentially suffer and be hurt by the choice you make for your child. When you make a choice for your child not to get a vaccine, you’re also making a choice to put others at risk. And I think that it’s perfectly reasonable for society to ask its citizens to get vaccines or to pay a price. It’s reasonable for them to take a risk for their child, this most precious thing in their life? I think it would only be reasonable for society to ask that if the benefits of this particular thing — we’re talking about vaccines — clearly and definitively outweigh its risk, which is true for every single vaccine that we give to children, assuming that there’s not a clear medical counterindication to getting a vaccine. How does this match with normal medical notions of informed consent? This mandate can seem like coercion. Is this informed consent or coercion? By law, the physicians are required to give out something called a Vaccine Information Statement — or VIS — where the disease is described and the benefits and the risks of the vaccine are described, and then the parent has a choice to get the vaccine or not to get the vaccine. But many mothers say, “If I don’t do what the pediatrician wants, he’ll throw me off his list.” They talk about it like coercion, not feeling like a choice. I think one could argue that a libertarian stance, in a better world, could work, which is to say, I’m going to inform myself about vaccines and make a decision for my child. Well, if you’re going to inform yourself about vaccines, I think anybody who’s truly informed will realize that getting a vaccine is much better than not getting one. If you’re choosing not to vaccinate your child, it’s because you’re getting, frankly, bad information about vaccines. You’re learning that vaccines cause autism or multiple sclerosis or diabetes, which isn’t true. … I think reasonably then, since there’s so much bad information out there, I think the government — a state government — can step in and say, look, [when] a critical number of children aren’t being vaccinated, it’s affecting not only them but those next to them, and we need to step in. I think that’s perfectly reasonable. Not just reasonable. You’re saying it has to be done; otherwise there will be a big disaster. Yeah, I think we’ve gotten to a tipping point. We’ve gotten to a point now where there is a critical loss of herd immunity such that children are suffering and being hospitalized and being killed by these viruses. 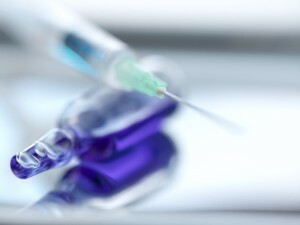 And we have gotten to the point, I think, where the government — specifically state governments — have to be tougher about vaccine mandates, so that one, for example, chooses not to get a vaccine for a philosophical exemption, that they have to perhaps take a one-day course where they really learn about vaccines and the real benefits and risks of vaccines. So at least they’re making a better-informed choice than presumably they’re making by choosing not to get it based on a lot of misinformation on the Internet. [Pediatrician] Dr. Sears thinks you can bridge this difference between individualism and communitarianism with a more pragmatic, spread-out schedule. Can you address this difference of opinion? I think Bob Sears has taken advantage of a certain cultural phenomenon, which is, let’s just find some middle ground. Let’s try and figure out a way that we can space out or delay or separate vaccines so that kids aren’t getting so many vaccines at once. But the fact of the matter is, one, children can certainly handle those vaccines, as we know from study; two, to delay vaccines is only to increase the period of time during which children are at risk without benefit; and three, it only means more visits and more shots, which is only more traumatic to the child. It sounds good on its surface, but I think all it will do is harm. The charge of elitism: The way vaccines are chosen and put on the vaccine schedule comes down from on high; it’s not a public, participatory process; it’s imposed. I think the question is: What provides the best advice about vaccines? Who provides it? How should it be provided? And especially since we mandate vaccines — and this is not going to be a popular thing to say, but I believe it to be true — which is, I think those who are in the best position to analyze data should be the ones who synthesize data and make a recommendation. That’s basically the way that it works. If you really want to be informed about the chicken pox vaccine, I think what one should do is, one should read the roughly, probably 500 scientific publications that are out there, that look at the epidemiology of chicken pox, that look at the virology of how this vaccine is made, how does it differ from natural virus, that looks at all the effectiveness and safety studies that have been done with the vaccine. I think it’s the rare parent that’s going to do that. Frankly, I think it’s the rare doctor that’s going to do that. And so who does do that? It is, at least collectively, a group like the Advisory Committee [on] Immunization Practices [ACIP] or the Committee [on] Infectious Diseases for the American Academy of Pediatrics or the American Association of Family Physicians, all of which at least have expert bodies that collectively read those papers and then make recommendations based on those papers. I mean, basically experts are making recommendations for children based on having read all that information. I think that’s the best way to do it. It sounds terrible. Certainly the message, “Trust me, I’m an expert,” is not one that flies very far in the 21st century, but it is true. I think what we can be proud of is that we have, I think, in our vaccine system, done excellent safety testing and excellent studies that have led to a dramatic drop in these diseases safely. I think we should be proud of vaccines as arguably the safest, best tested things we put in our body. I think our experts have served us well. [Talk about] the issue of trust and conflict of interest, whether that’s been properly declared and whether it’s sufficiently independent of the pharmaceutical industry, given that vaccines are mandated and profitable. I think it’s very easy to sell the notion of elitism, that there’s this group of people who are making decisions for us, that they may be unduly influenced by pharmaceutical companies, and that ultimately the result is that our children may be harmed because of that … undue influence. But the fact of the matter is, there’s no evidence for that. When these advisory committees make decisions about vaccines, they make it based on data — solid, producible, internally consistent data. And as these vaccines have been rolled out, they’ve been shown to be remarkably safe. There’s probably no better example recently than the novel H1N1 vaccine, where we have obviously tens of millions of doses that have been distributed safely. And that’s everything one would have predicted based on what we know about the way that vaccine was tested. It should make us feel very comfortable. I think all the data that we have on vaccine safety and effectiveness over the last 50 years should make us feel very comfortable about the advice that we’re getting and the way that they’re tested and used. It’s more of a perception issue. Your impartiality has been questioned because you are the co-inventor of a vaccine. Do you think this is a legitimate inquiry? I think it’s perfectly reasonable to be skeptical. I think it’s reasonable to be skeptical of those that make recommendations. I think it’s reasonable to be skeptical of those who test vaccines or promote them. You also financially benefit from that vaccine. I know this isn’t going to sell, but it doesn’t matter. It doesn’t matter whether I financially have benefited or not. The only thing that mattered is, did the vaccine that we created at Children’s Hospital of Philadelphia do what it was claimed to do? Has it prevented hospitalization and suffering and death? And the answer to that question is yes. It’s true that there’s a profit motive to vaccines. And I think, frankly, without it, I’m not sure that vaccines would be as wonderful as they are. The first vaccine was [Edward] Jenner’s smallpox vaccine created in England. And then you had European vaccines like the diphtheria vaccine, the tetanus vaccine — that was all France and Germany in the early 1900s. By 1950 with the polio vaccine, and frankly by the 1940s with the influenza vaccine, if you look at vaccine research and manufacture and development, it’s almost all U.S. And I think the reason is that there is a profit motive. That’s OK. I think that profit motive’s OK. When you get surveys like the one in Pediatrics [recently], which showed that people have persistent fears, skepticism, mistrust, do you think we’re in a perilous state? Do you guys have to change the way you communicate? Do you think we’ll have even more vaccines in the future? [Or] are we going to start taking vaccines out of the schedule? I certainly hope we have more vaccines, because there certainly are still diseases — like, for example, respiratory syncytial virus [RSV] — which cause children to be hospitalized and die from pneumonia. Frankly, tens of thousands of children are hospitalized, and thousands die from respiratory syncytial virus every year. So if we can get a vaccine to prevent that, that will certainly save lives. Herpes simplex virus [HSV] can cause severe and occasionally fatal infection in children. If we can prevent that, that’s of value. So there are still diseases which cause suffering and death, so hopefully we’ll have a way to prevent them. That would be optimal. In terms of eliminating vaccines, I would have been more optimistic about that 10 years ago. I think that terrorism has changed that somewhat. So, for example, we have three decades’ worth of children who haven’t been vaccinated with smallpox vaccine, and when the specter of smallpox dissemination was raised around the time that we invaded Iraq, we knew that we had a very vulnerable population and in fact started to try and immunize at least front-line responders with smallpox vaccine. I wonder whether, because of bioterrorism, we’ll ever feel comfortable stopping giving some vaccines.